Cooking can be fun if you do it right. A great tool to have in the kitchen to make things easier for you is the Taylor 3-piece Thermometer & Timer Set. 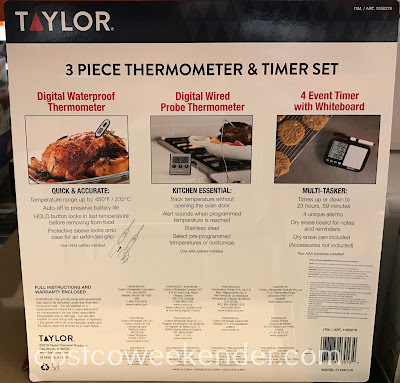 The Taylor 3-piece Thermometer & Timer Set features a digital thermometer, a digital wired thermometer, and a whiteboard timer. 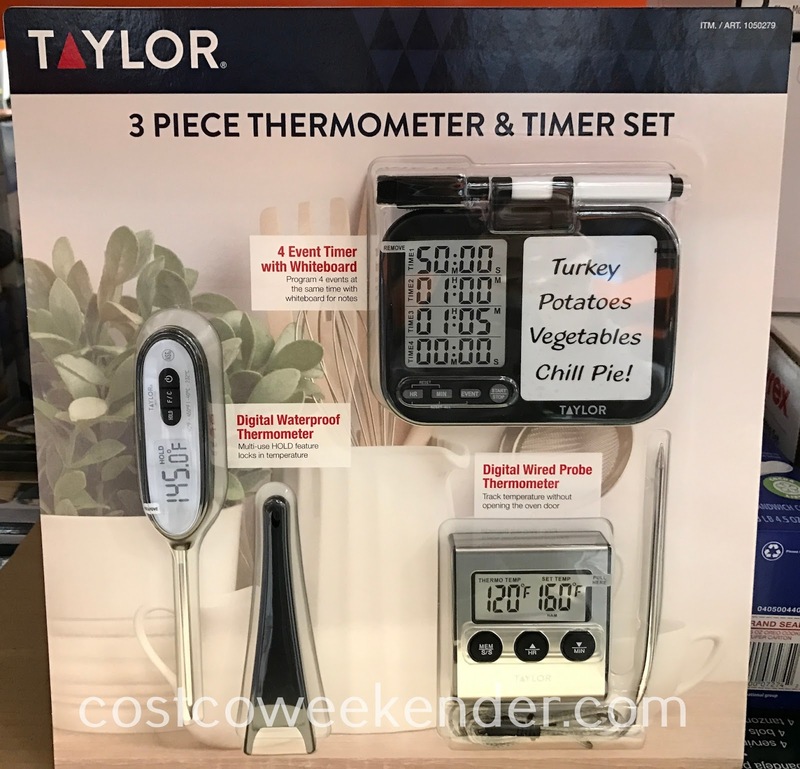 The digital thermometers help you can see if you've properly cooked meat to the right temperature. You definitely don't want to overcook meat where it's as tough as leather and so dry that it's hard to chew. Even worse is serving raw or under cooked food at the risk of getting people sick with e. coli or salmonella. The digital instant-read thermometer allow you to quickly check meat's internal temperature. 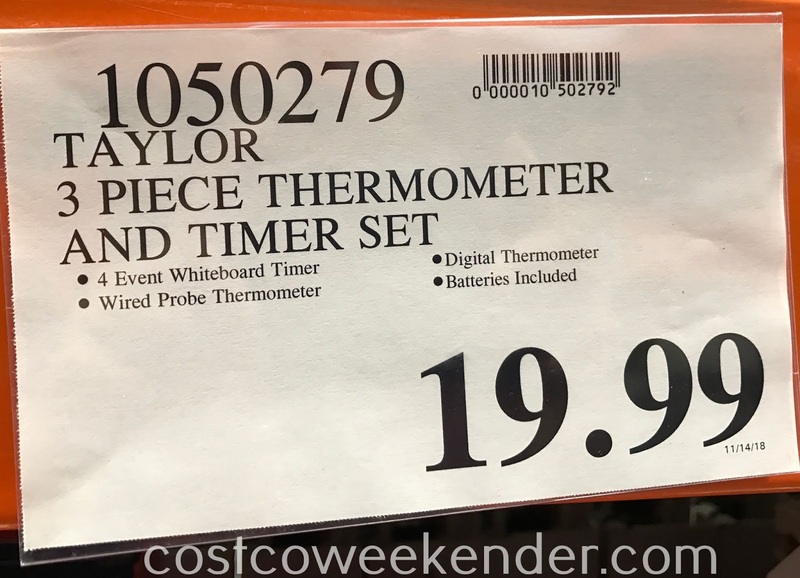 The digital wired thermometer is great if you have a turkey in the oven or are smoking a brisket in the smoker and is similar to those Maverick digital themometers. 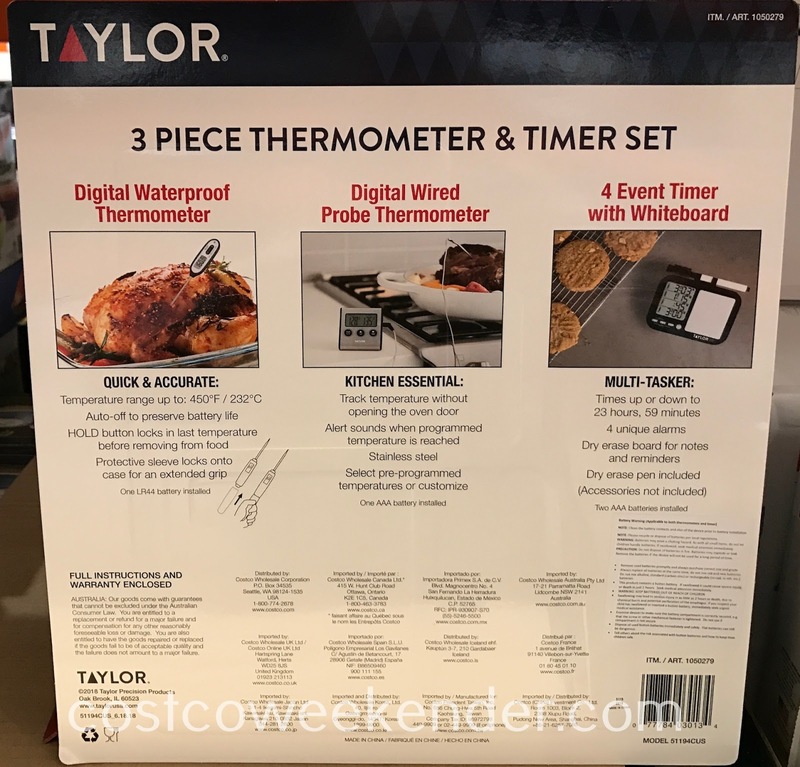 The Taylor 3-piece Thermometer & Timer Set even comes with a whiteboard timer to help you keep track of things you have to do when preparing a meal.